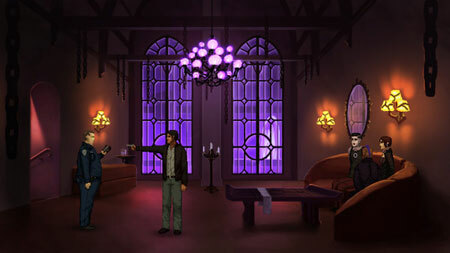 Unavowed is a point and click adventure game from Wadjet Eye Games. A demon has possessed you and used your body to tear a swath of bloodshed through New York. You are now free, but life as you knew it is over. Your only path forward is joining the Unavowed, an ancient society dedicated to stopping evil. No matter what the cost. You have no home, no friends, and are wanted by the police. Your old life is gone, but perhaps you can start a new one. Join the ranks of the Unavowed, and fight against the oncoming darkness. There are three playable origin stories, you need to choose a male or female protagonist first. There are a total of four companion characters to choose from, each with their own talents and abilities. If you get stuck in the game, check out the video walkthrough and gameplay for the game. This entry was posted in PC Games, Walkthrough and tagged Unavowed Cheats, Unavowed Game, Unavowed Gameplay, Unavowed Guide, Unavowed Hints, Unavowed Review, Unavowed Solutions, Unavowed Strategy, Unavowed Tips, Unavowed Wadjet Eye, Unavowed Walkthrough by Marvin. Bookmark the permalink.